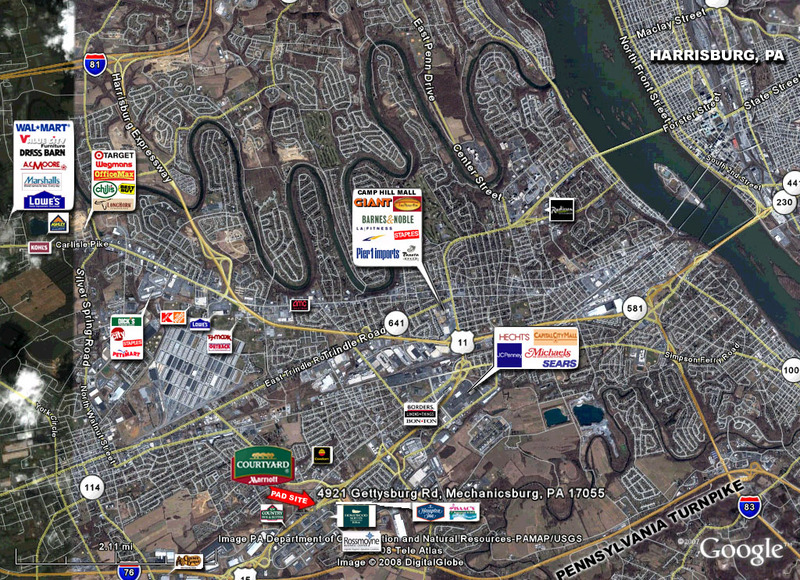 Off Route 15 and about 1/2 mile from the PA Turnpike and easily accessible to Route 581 and Interstate 83. 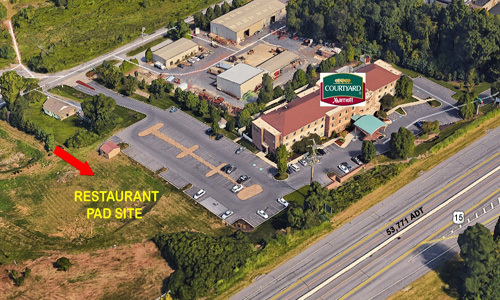 Prime restaurant pad site available next to Marriott Courtyard with excellent visibility on Route 15. In close proximity of shopping centers, Rossmoyne Business Park, and hotels including Hampton Inn, Best Western Inn & Suites, Comfort Inn, Country Inn & Suites, and Homewood Suites Hotel. Hotel liquor license available for $170,000.00. 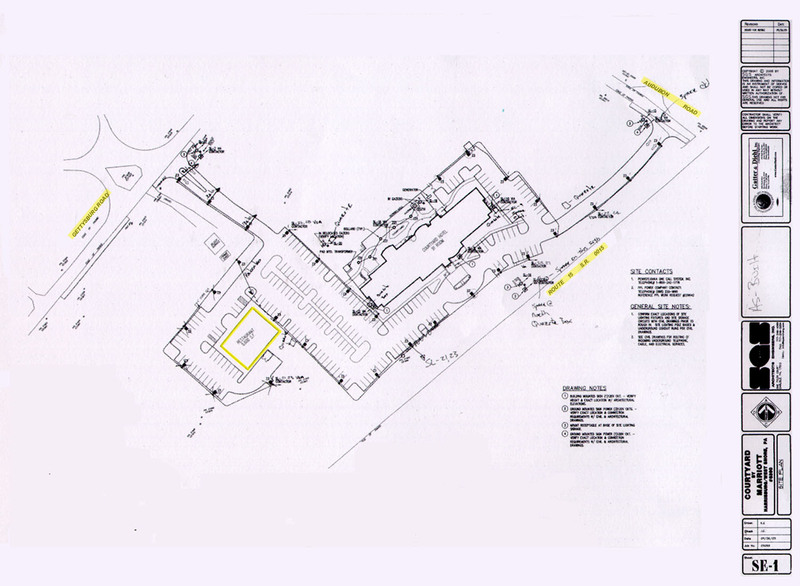 Ideal location for class A type restaurant.